You can make a $40 deposit to reserve it for this price. Bring your money to Mrs. Russell in the library or by clicking on the image below. The price will go up to $80 after Christmas break. 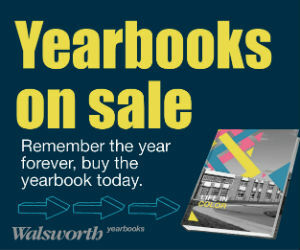 Yearbooks with name stamps must be purchased by December 13.